The San Diego County public health officials declared an outbreak of meningococcal disease at San Diego State University on Friday after a third student in recent months contracted the bacterial disease. A male undergraduate student showed symptoms of Meningococcal SeroGroup B Disease on Tuesday and was tested by the California Department of Public Health, the county said. "Close contacts of the new case have been identified and provided antibiotics to prevent illness. There is no need for antibiotics for those who were not in direct contact," the county's communications office said. It was determined that the student had the same bacteria — serogroup B — that hospitalized a female student earlier this month and another female student during the summer break. The latter was not attending class or living on campus at the time. "There's been three cases within 3 1/2 months, this meets the CDC's outbreak criteria and now we have to take further action," county public health officer Dr. Sayone Thihalolipavan said. "We want the population of students under the age of 24 to get vaccinations so they're protected even though they haven't been exposed yet." By declaring an "outbreak" the university and county health department receive access to additional resources from the state of California, including vaccines. 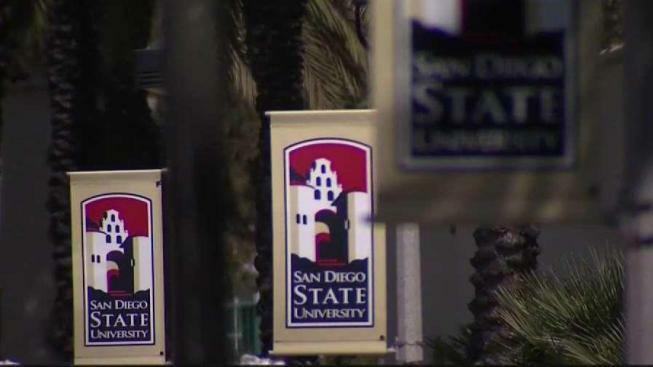 None of the students had prior contact with each other, SDSU officials said, though one in 10 people have the bacteria living inside their nasal passages without getting sick. "We know there must be enough of a carriage rate, that's what we call it, that it's around this environment at SDSU currently," Thihalolipavan said. The university is planning to hold a mass vaccination event on campus with thousands of vaccines for students. Since the disease primarily affects young people, only undergraduate students under the age of 24 are being urged to get the vaccine. In 2014, this rare form of meningitis killed one SDSU freshman and infected students at multiple colleges throughout the country. Sara Stelzer contracted Type B meningococcal disease. While she had been vaccinated against meningitis, the vaccine did not cover the rare Type B bacteria. 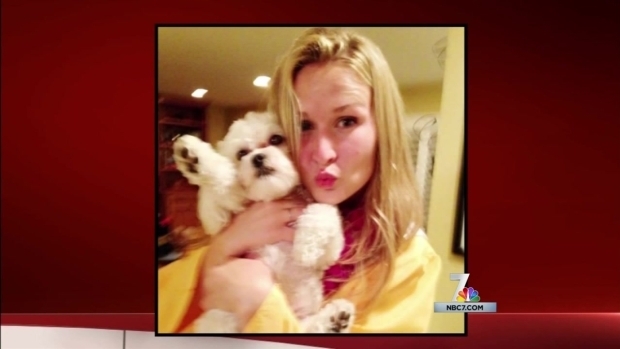 A deadly form of meningitis that quickly claimed the life of a San Diego State University freshman is the same strain that infected students at multiple colleges throughout the country. NBC 7's Omari Fleming reports. National Foundation For Infectious Diseases estimates one in 10 people who get the Meningococcal B will die, with two in 10 suffering serious complications including brain damage, kidney damage and amputation of limbs. Bacterial meningitis is spread by sharing items such as cigarettes or drinking glasses or through intimate contact such as kissing. The bacteria are not airborne, officials said, so they do not spread like germs associated with the common cold or the flu. There are currently vaccines available to prevent meningitis. The MC4 vaccines are recommended for people 11 to 18 years of age or people who are 19 to 21 years of age and living in college residence halls. Meningococcal group B vaccines are recommended for people older than 10 years old who are considered high risk including those with certain medical conditions or those exposed during an outbreak. Those who feel they may have been exposed and suffer from a sudden onset of symptoms including fever, headache, stiff neck, nausea and/or vomiting, should go to the hospital, health officials said. Learn more about the available meningococcal vaccines through the CDC's website. Or you can talk with someone by calling SDSU Student Health Services 8:30 am - 4:30 pm at 619-594-4325 or by calling San Diego County Public Health Services’ Epidemiology Division at 619-692-8499.